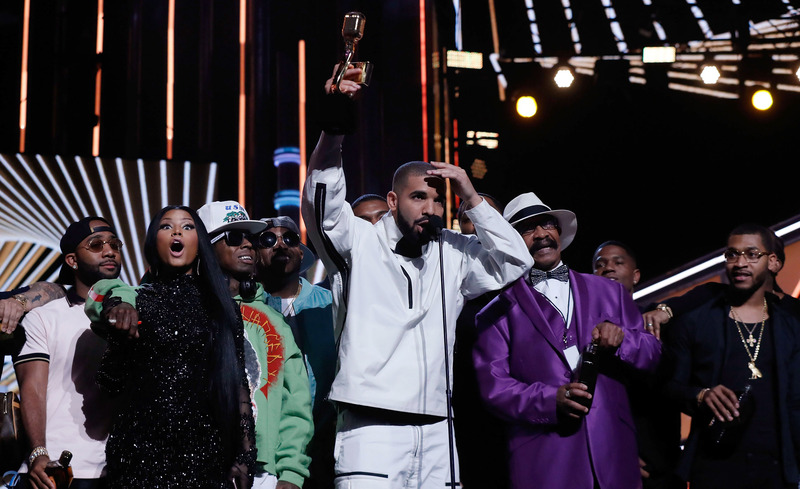 Check out the full list of Drizzy's accolades from the 2017 Billboard Music Awards below. 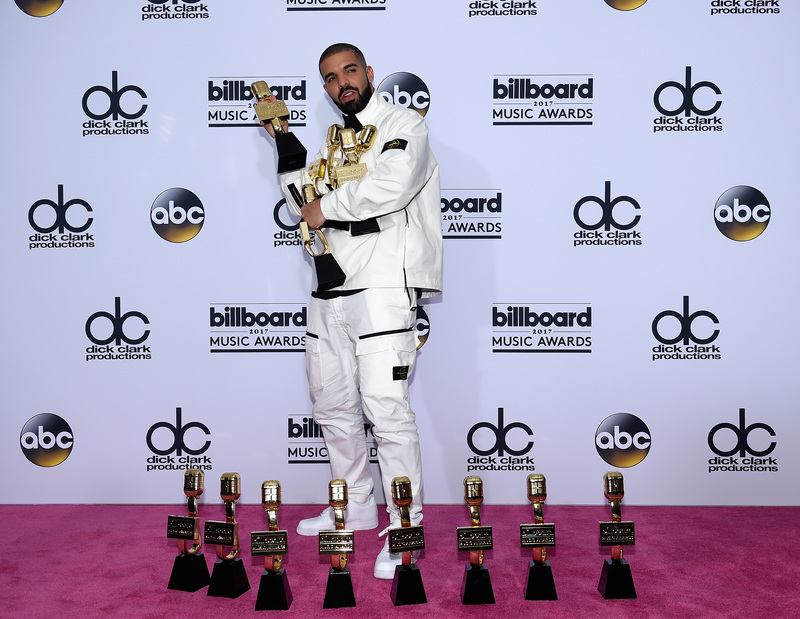 Drake has made history after winning 13 awards at the Billboard Music Awards 2017. The Canadian hitmaker has surpassed Adele's previous record of 12 wins, taking home a record-breaking number of trophies including Top Artist. Drizzy's wins also include Top Male Artist, Top Billboard 200 Album, Top Song Sales Artist, Top Streaming Songs Artist, Top Rap Artist, and Top Rap Tour. During the show, Drake took to the stage after his prestigious Top Artist win to make a heartfelt speech. "I got my whole family up here," he said, "Look at my Dad looking all sharp." "I got the love of my life up here too," Drake added, reaching his arm towards a beaming Nicki. Drake also gave a surprising shout-out to singer and actress Vanessa Hudgens during his winning speech for Top Billboard 200 Album. "I want to say Vanessa Hudgens, you look incredible tonight,” he said, before quashing his beef with rapper Ludacris. "Ludacris, we haven’t always seen eye to eye, but I’ve always been a big fan of yours and I got a lot of love for you." he confessed. "I want to let you know that face to face, while I'm still here." During the speech, the 'One Dance' star shared some major love for Nicki Minaj, fuelling their ongoing relationship rumours. "I want to say, Nicki Minaj, I’m so glad we found our way back because I love you and I could never ever see it any other way," he added. "I want to say, Lil Wayne, if it wasn’t for the risk you took, none of us would be here tonight," he continued, nodding to the Young Money boss. "And I want to say," he concluded, "My dad got on a purple suit with purple shoes. Boy, if you don't stop!" In celebration of his record-breaking night, the rapper took over the Las Vegas show with an explosive performance of 'Gyalchester' in front of the iconic Fountains Of Bellagio.